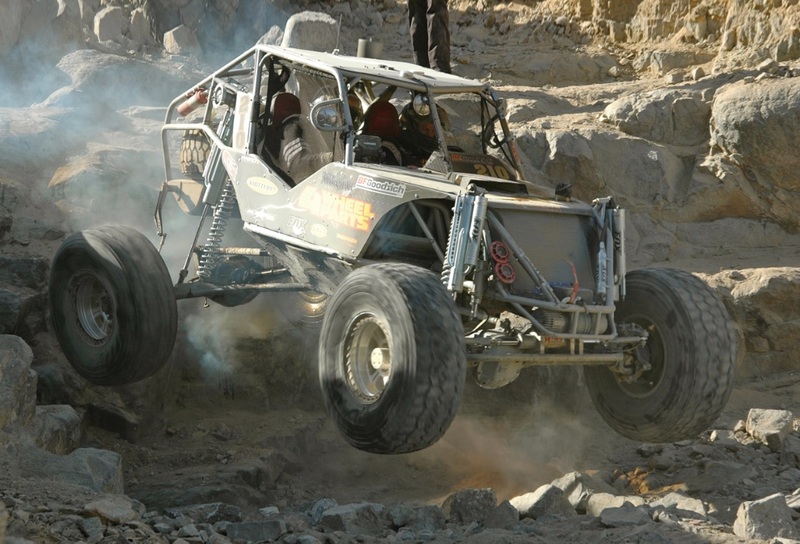 Off-road racing requires a remarkable car and crew, nerves of steel and calculated risks. Whether you’re racing short course, in the desert or on rocks, skill and preparation are prized as the best weapons to compete head-to-head against other drivers. 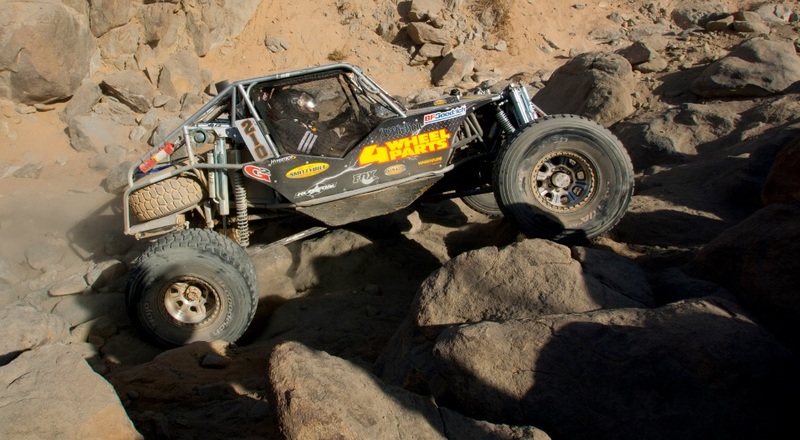 But The King of the Hammers is a different beast. 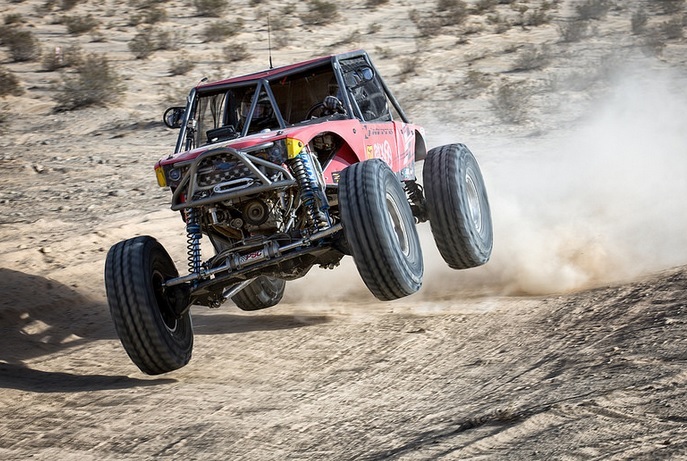 Described as Burning Man for gearheads and the toughest off-road event on the planet, the Nitto King of the Hammers race has an appetite for attrition. This year’s Ultra4 unlimited class has been lengthened to 215 miles, but it won’t change the stark fact that over half the drivers are out of the race after the first 50 miles. The plucky saying “It’s better to be lucky than good” acknowledges that skill can only take you so far, but what kind of role does luck play at King of the Hammers? We talked to drivers about close calls, near misses and major fails in the race and what they have to say may surprise you. Loren Healy went on a tear in 2014 and is undefeated in his last four off-road races. 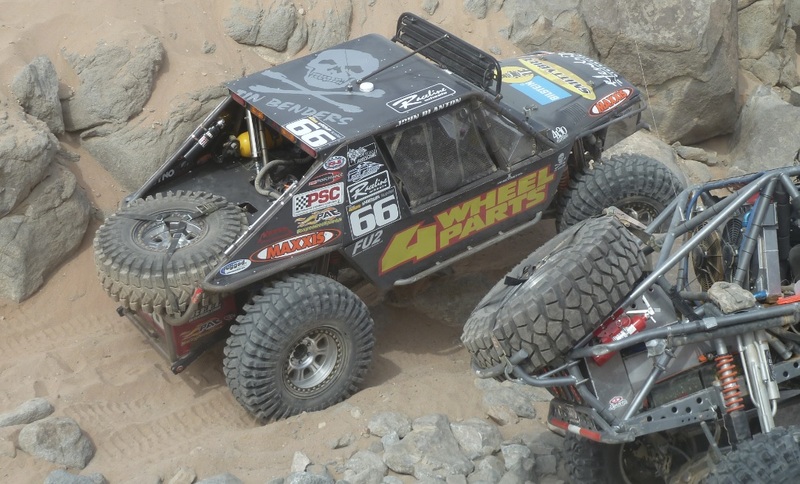 He edged out Derek West to win last year’s KOH Unlimited crown and snag the scepter for the second time and acknowledges luck has its place in the unique desert race. “Luck is a huge part of King of the Hammers, but I still think there are only about 25 people who set themselves up well enough to win,” says Healy. He relies on a well-prepared race car and a great team supporting him, but knows to count on encountering the unexpected at Johnson Valley. The 80/20 rule of thumb devised by Italian economist Pareto (and also referred to as the Pareto Principle) states that 20% of something is always responsible for 80% of the results. 4 Wheel Parts president and CEO Greg Adler has his own unique take on the 80/20 ratio as it relates to the Hammers. He points out that although 80% of the miles are in the desert and 20% are in rocks, the time ratio is just the opposite. Adler is a firm believer in the adage “Luck is what happens when preparation meets opportunity” and contends he’s prepared his car to be better in the rocks and the desert. He’s running BFGoodrich all terrain tires and G2 axles and gears. No stranger to the short course off- road racing podium, he’s excited about competing and making a mark in the Ultra4 racing realm. “King of the Hammers is exciting because the unlimited class is open to your imagination and it’s quickly become a race as big as the Baja 1000,” he says. GenRight founder Tony Pellegrino has had his share of heartbreaks running Hammers. When Shannon Campbell won in 2011, Pellegrino finished second. “We were doing really well until a guy flipped in a rock canyon between us and Shannon,” he recalls. Tony’s co-driver hooked onto him and dragged him out of the way, but it cost them 45 minutes. He knows that diminishing the role luck plays comes down to strategy. “Some of the guys with a lot of testosterone go for Back Door first, but it’s too much stress to take on right away.” Pellegrino prefers to save the demanding rock section for the end of the race and is counting on there not being people there at the end. “It’s easier not to have to go through traffic,” he laughs. Eric “Mustard Dog” Anderson was a co-driver for Hobie Smith, one of the Hammers’ OG 13, and has had success with Formula Toyota racing. He grew up camping in Southern California deserts and rock crawling soon began to grow on him. His dad had a Land Cruiser and he liked it so much that he picked up a mustard yellow FJ-40. Eric’s friend dubbed it “Mustard Dog” and he elected to use that for his email address. The name stuck. Even though rock crawling is second nature to Mustard Dog, he acknowledges that the rocks seem to get magnified when running the Hammers. “It’s amazing what will happen when guys put on a helmet and get strapped in a race car – they lose their minds,” he says. Starts are staggered and cars are paired in the unlimited race, but once things get underway, all bets are off. “The first trail we get to, we’re all playing Ivan Stewart out there,” laughs Mustard Dog. “Last year about 80 miles in, we came down on a huge bolder and it sheared the rear pinion flange so there was no fixing that,” he says. Drivers don’t have the luxury to take the time necessary to re-gear during the race. Most of the astronomical attrition rate can be attributed to the steep, brutal rock sections including Back Door, Chocolate Thunder and Aftershock. Racers who take on these colorfully named sections first run the risk of ending their day early. Putting it off to the end is a gamble because you can get stuck behind other competitors. In most races, speed is prized above all, but having experience on the rocks is what sets apart drivers at King of the Hammers. The 2015 Nitto King of the Hammers Unlimited Race happens on Friday, February 6 and the Smittybilt Every Man Challenge runs the day before. This year, the Every Man Challenge field features nearly 100 vehicles, and Hammerking Productions President/KOH organizer Dave Cole predicts there will be twice as many competitors in a couple of years. 4 Wheel Parts has been named the presenting sponsor of the events.